– The Crash Chords Podcast (CCP) airs every Thursday at noon EST. – Crash Chords: Autographs (CCA) airs every *other* Tuesday at noon EST. Send us feedback; we’d love to hear from you. Ep. #108 – Magical Girl Burlesque Strikes Back! In this episode, my guests are the core producers of Magical Girl Burlesque, Raina Sinclair, Betty Brash …and me! I chat with my co-producers about how MGB has grown since we last spoke on the show two years ago. 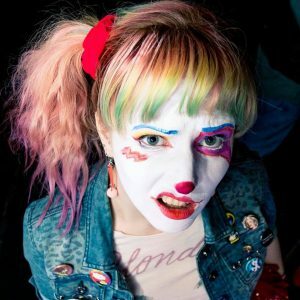 We talk about changes to the company, shows of the past year, as well as some of the great burlesque troupes we’ve been able to partner with like Cyn Factory and Rabbit Hole Productions. We also discuss our professional aspirations for 2019. I’m so honored and lucky to be a part of this killer team of humans. Join me as we celebrate what we’ve accomplished and look to the future of Magical Girl Burlesque. In this episode, Matt welcomes Omar Holmon, a poet, writer, and co-founder of the website Black Nerd Problems. 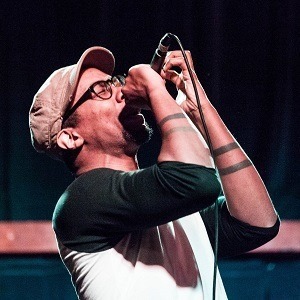 He and Matt chat about Omar’s appearance at Flame Con 2018, his return to poetry, and what it’s been like competing for as many years as he has. They also talk about the origins of Black Nerd Problems and how the site has grown and changed over the years, as well as what the future holds for the site. Finally, Matt and Omar gush over a variety of nerdery from TV to games to movies to comics and more. In this episode, Matt welcomes Ryako, a nerdcore rapper from Brugge, Belgium. She and Matt chat about her latest record, Fangirl, her sources of inspiration, as well as some of her favorite artists both inside the genre and out. They talk about the nerdy properties that inspired the works on Fangirl, including Star Trek, Firefly, and X-Files. 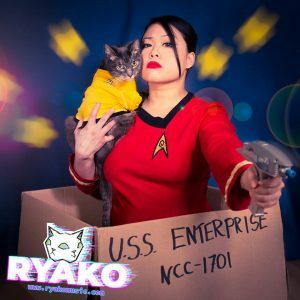 Ryako shares her journey from California to Belgium, adventures while shooting the video for “Starfleet Boys,” and teases exciting future projects. Today, Matt shares highlights, interviews and more from Flame Con 2018! This episode features brief interviews with Con participants and attendees, as well as the (Doctor) Who Queered panel in its entirety. First, Matt chats with poet and Black Nerd Problems co-founder, Omar Holmon, artist and creator Fyodor Pavlov, and finally con attendees Rachel Schenk and John Henry. 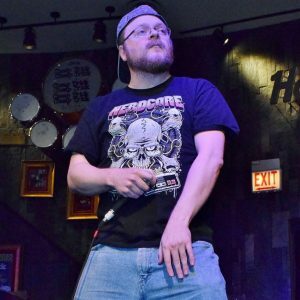 Then, sci fi and fantasy author Brian Olsen is your host and curator for the hour-long (Doctor) Who Queered panel featuring teacher, actor and art director for The Lipstick Project, Rachel Schulte…and our very own Matt Storm! Special thanks from Matt go to Director of PR for Geeks Out, Michelle Rose, as well as the rest of the Flame Con staff for the opportunity to cover this event. 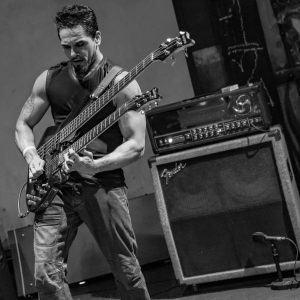 Today, Matt welcomes Kris Keyser, a chip tune musician hailing from Brooklyn, NY. 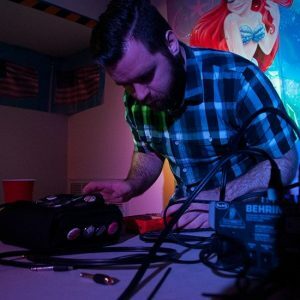 With Matt, he discusses his latest album, Reviver, along with his instrument of choice — the classic Gameboy —- and how he makes music on it. They go over his writing process, specifically with regards to his newest records, and chat about his love of games, how that’s influenced his style, and the other genres of music he’s dabbled in. And so, from his upcoming performance in Japan to his love of live performance in general, here’s presenting Kris Keyser. Welcome to episode 100 of Crash Chords: Autographs! Thank you for sticking with us these past 4 years. To celebrate how far the show has come, check out our brand new theme music, written, produced and performed — expressly for the show — by two-time previous guest, Mikal kHill, who we thank for his contribution to Autographs, and its next 100 episodes! Now for the prime event… This episode has been a long time coming, for today we are excited to welcome actor, writer, producer, storyteller, singer, guitarist, and of course the companion and constant supporter of Matt Storm, his wife Sarah Storm. As an actress, Sarah has appeared in familiar household dramas like Law and Order SVU and The Marvelous Mrs. Maisel. With Matt, she chats about her experience as a recurring character on SVU and what it’s like to be a day player. She also describes how she first discovered her love of acting and how her family has influenced her love of the craft. A member of the 24 Hour Company, Sarah has also facilitated bringing together some of the best young actors, directors, playwrights and producers for an intensive professional experience that culminates in their own production, The 24 Hour Plays — that is, the deeply imaginative, if hastily produced events that premiere within 24 hours of their conception. An accomplished musician, Sarah has performed both as a solo artist, and as part of the irish/rock band The Waysties, a mainstay at Brooklyn watering hole, The Way Station. 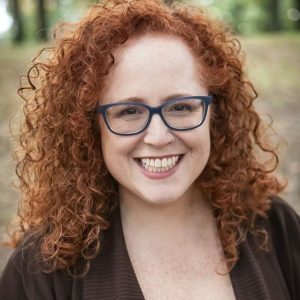 Hear all about how her early love of singing and how it came about growing up in the Jewish faith and also how her love of performance in general has blossomed throughout the years. 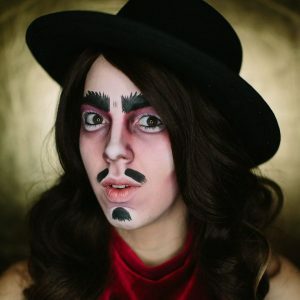 Today, Matt welcomes Lee VaLone, a drag king, producer, and burlesque performer based in NYC. The producer of BEEF SHOW at Bizarre Bushwick and also ‘Jump Shark!’ (a monthly open mic Drag, Burlesque, & Vocals event that fundraises for Planned Parenthood), Lee VaLone is also the current reigning Mr. Coney Island. With Matt, Lee chats about his start in drag and burlesque, and discusses some of his most iconic performances. He also chats about the Beef Squad Drag Collective, which he also runs, and his production on The Yell Club, a drag & karaoke event at Rock Bar NYC. And so from learning and growing in the burlesque & drag scene, to how he met Sasha Velour, here’s presenting Matt Storm and LeeVaLone.